This piece was first published for 8past10.com and was the test piece I was required to write. The task was to write on a given subject in under 350 words. Click here to see the original over at 8past10.com and don't forget to sign up whilst you're there! Since its invention in 1801 by Abraham Louis Breguet the tourbillon has been coveted. Back then the tourbillon was cutting edge technology and today it is seen as the ultimate expression of a watchmaker’s talent, experience and creativity. Undoubtedly timepieces from haute horology manufacturers that have a tourbillon are among the most desirable pieces created, however, in my opinion the question should be "Why is the Tourbillon coveted?" Whilst it is the most technically challenging complication that a watch manufacturer can produce, the benefit it gives to a contemporary wristwatch is negligible. It was originally created for pocket watches to counteract the effect of gravity on the escapement and a wristwatch sees little benefit as it is almost constantly moving. Other complications like minute repeaters, annual calendars and power reserves have a more practical purpose, yet the tourbillon remains watchmaking be all and end all. Perhaps because it is visually entrancing, the interplay between the gears, the ability to peek into the beating heart of a watch and marvel at the complexities that lie within is what keeps the tourbillon so coveted. 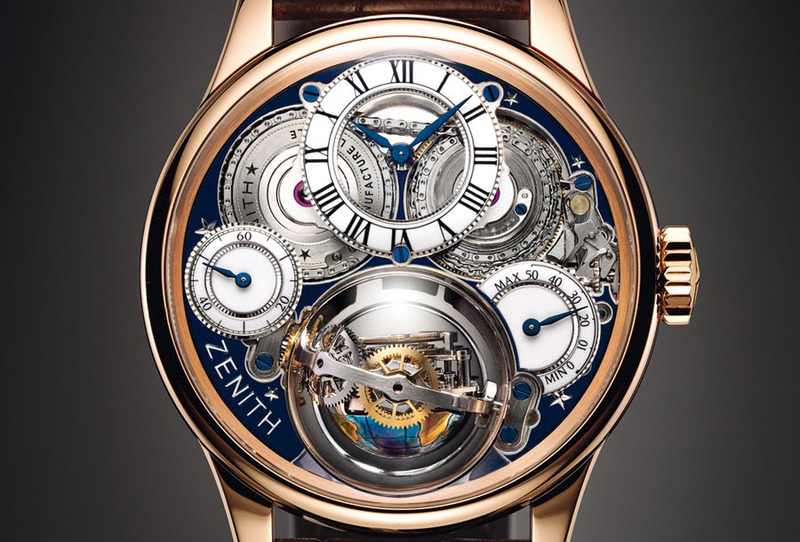 When I first saw the Zenith Academy Christophe Colomb I stood there stunned in awe, allowing the gears to turn and rotate in my hand yet I had to wonder as to the overall benefit of the complication. The reason a tourbillon is coveted goes far beyond the sum of its parts or claimed functionality as it is about what it represents; the insatiable desire of watchmakers to continue to push forward in watchmaking to see what can be created out of little more than steel and imagination. The tourbillon is so desirable amongst collectors and horophiles that watch manufacturers strive to create new types that push the boundaries of horology, such as: double-axis, triple-axis, central and flying tourbillons.